Lowest Price Online: $634.99 ? 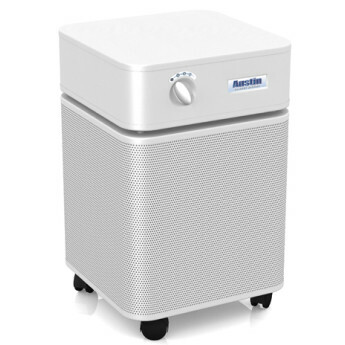 Allergy Machine / Healthmate 400 HEGA™/Bio-4000: Specialty air cleaner with 60 sq. ft. of medical HEPA, certified to remove 99.97% of airborne particles 0.3 microns or larger. A military carbon cloth is used in place of granular carbon, and is located after the HEPA, enabling the carbon to be more efficient. Stands 23” tall and 14.5” wide. Comes with wheels for easy portability. Effectively cleans an area of 1500 sq. ft. (with normal ceiling heights). - Ideal for allergy/asthma sufferers. - Cleans Up to 1500 sq. ft. efficiently. 60 sq. ft. medical HEPA. - 23" x 14.5" x 14.5"